Recently, Pinterest rolled out its new, more in-depth analytics worldwide, giving businesses the opportunity to examine how well individual pins are doing and more. I’ve always found Pinterest to be an effective traffic driver even if you don’t sell physical products, so it’s bound to help many companies further hone their strategy when it comes to using the platform. He went on to say that the new analytics are aimed at small to medium sized businesses and that Pinterest is “super interested in content creators of any type”. In order to use Pinterest’s improved analytics, it’s necessary to have a business account, so firstly if you have a personal account then head on over to Pinterest for Business and get it swapped over to a business one. Whilst previously, it was only possible to see how users interacted with the Pin It button on your website, now it’s possible to gain more insight on whether your actions on the social media site are actually working. By this I mean that you can now track actions that take place on Pinterest itself and if these are being translated into traffic and action on your site. This means that you can track engagement with all of your pins, and not just those that have been pinned from your site. So if you do a lot of curation, the new analytics is great news for you. As you can see, each of the options gives you the opportunity to see more information via the ‘more’ link. A representational graph also appears below each of these so that you have an instant visual idea of how it’s gone that month. Towards the bottom of the dashboard, there’s also a section which shows you the top pins for that month. So that’s the basic dashboard, let’s have a look at what information you can access when hitting the ‘more’ link. At the top of the section, you have the option to view impressions, repins, clicks (through to your website) and how your pinning activity has performed over all time, since you’ve been a business member of the site. This gives you a graph for each section as well as daily averages and how these are trending – up or down. Below the graphs is also a section which details both your most clicked pins (on the clicks menu) as well as a section for which of your boards is receiving the most attention. This is great for helping you to hone your Pinterest strategy as you can do away with those boards that get little in the way of interaction and concentrate your efforts on the topics that you audience is interested in. The ‘All Time’ section is particularly interesting as here you can really drill down what your audience is most interested in, how Pins perform in search and which of them are your ‘Power Pins’. The latter are Pins that receive a lot of attention insomuch as they receive Repins, likes, clicks, etc. 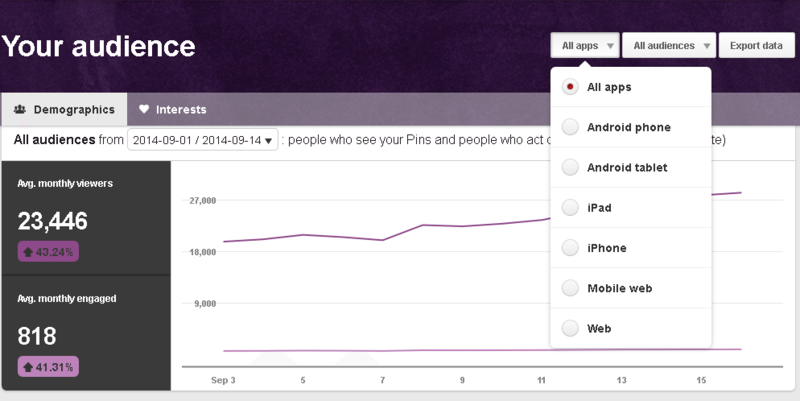 You can also export the data from Pinterest analytics for further analysis. This section also contains the ‘Interests’ tab which allows you to see which of your boards are of interest to followers and all audiences. This will help you to align your strategy with your followers and what they want to see. It will also help with targeting the right followers for your niche in order to increase engagement. When studying the analytics, it’s important to understand if the content that you’re offering matches the interests of your followers if your Pinterest campaigns are going to be useful for driving the right traffic to your website. This allows you to analyse what articles and images are being pinned directly from your website and shows the top 50 pins and top 20 boards that your content is being pinned to. This is perfect again for helping you to hone your content so that it aligns with what your users are most interested in. Again, the ‘All Time’ menu gives you a good overview of exactly what has been pinned from your site, Repinned by others and more. You also have the option to view which devices people are using when pinning your content so that you can further target different groups. Original Pins allows you to see the 50 newest pins that have been shared from your site, meaning that you can see at a glance which topics appeal to your target audience the most. In each section you’ll also find tips from Pinterest which are designed to help you to further improve your campaigns and targeting. These take you through to the Pinterest help pages which are chock full of useful information to help you to get the most out of both the site and analytics. Note that before you can use analytics, you need to verify your site and any subdomains that you’d like to track too. If you haven’t already, you should also install the official ‘Pin It’ button on your site so that you can track website activity effectively in analytics. This involves a little HTML knowledge for some kinds of sites or there are widgets available for sites built using popular platforms such as WordPress. To do this, it’s first necessary to make preparations on your site by adding meta tags or an oEmbed endpoint, so you may need some help with this from your web developer. Once you’ve done this, it’s then a case of heading on back to Pinterest to validate your Rich Pins by entering the URL of where they live. Then once your pins have been validated and you’ve tested them to ensure that they appear correctly, you can apply to get them shown on Pinterest. This can take a few weeks so don’t be worried if you don’t hear back from the team at Pinterest immediately. As I mentioned at the start, Pinterest can be a very effective traffic driver for your site so it’s absolutely worth trying out no matter what business you’re in. Of course, things like infographics are hugely popular and attract a lot of Repins, so if you create content like this then Pinterest is the ideal place for you. If you’re a retailer with plenty of pretty things to sell online, then the site is an absolute must, it’s like having another shop window which sees an awful lot of footfall. Many people that have service orientated businesses dismiss Pinterest as they don’t think it’s relevant to them, but it is a powerful marketing channel in its own right and with a little imagination, it could make a difference to your traffic. Pinterest entered the social media scene with a bang when it first appeared, with a user base that grew extremely rapidly. Whilst this has slowed in recent years it remains a hugely popular site and very worthwhile for digital marketing purposes. The addition of analytics makes it even more useful to businesses as now you can really get your targeting down to a fine art and track activity both on the site and your website. With that in mind, if you don’t yet have a Pinterest Business account, then it’s about time you did. 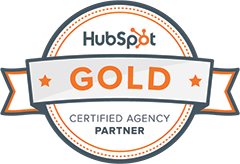 This entry was posted in Social, Web Analyst and tagged pinterest.